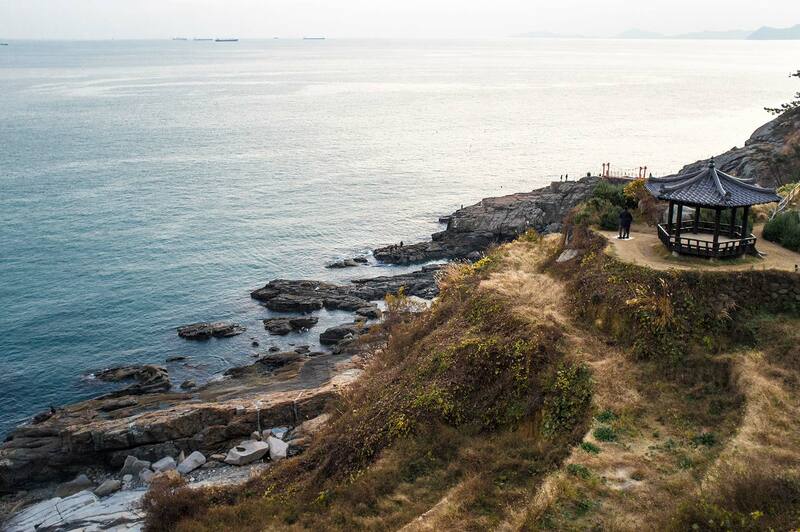 Continuing my travels around the Korean peninsula I jumped on a train and then a bus, and then another bus, until I reached the furthest point on the island. The infrastructure in South Korea is super cool. Brand new busses with soft seats and charging sockets glide along the smooth motorway roads which are empty of traffic. Korea is most inviting to visitors in the spring or summer, when the cherry blossoms are in full bloom, creating dramatic views. 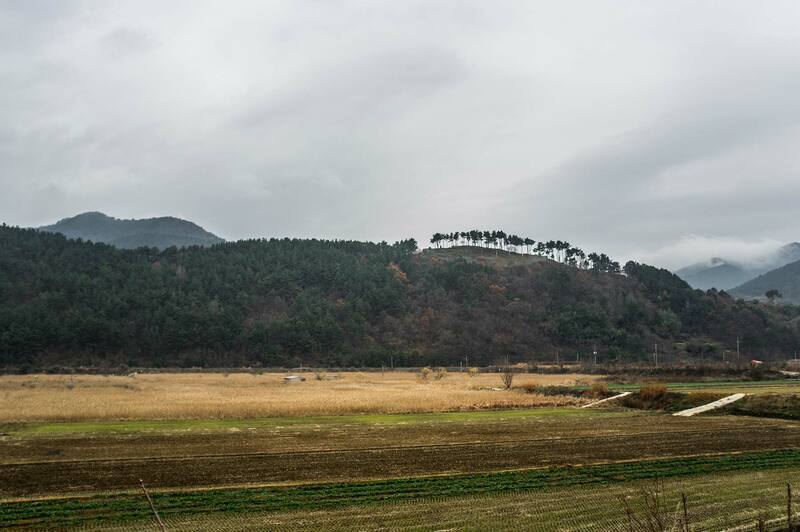 I, however, preferred to see Korea during the saddest time of year, when the weather was primarily grey and the landscapes highlighted by colourful fields. Yellow fields on the way to Darangee village. 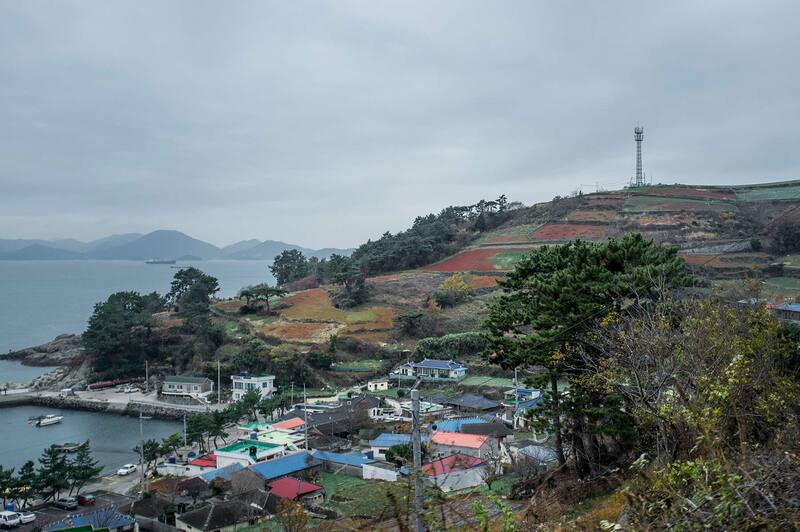 Darangee village is located on Namhae Island, in the southern part of South Korea. The area around the village is surrounded by endless coastline and the landscape draped with terraced rice paddies and coastal mountains. 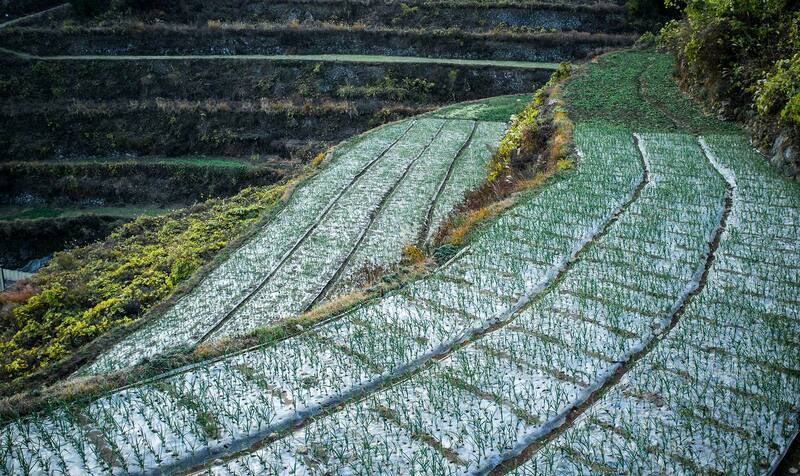 At this time of year the rice paddies are used to grow onions. Arriving a few weeks after a peak period I found the place opened up different perspectives to me. I had missed the festive ceremonies and the harvest time so most of the terraces were bare, but the sights were still sweet. If I looked up I saw the ocean, which was more than worthwhile and made me glad to have decided to visit. 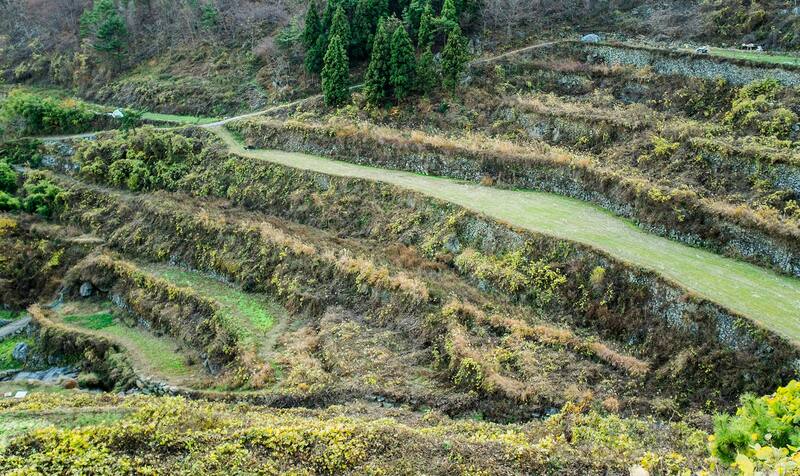 Koreans believe that these rice paddies were created by their ancestors in the area by cutting into the slopes of the mountains in order to grow rice. Despite this belief, there is no actual detailed data on the origins of Darangee Village. In the afternoons, just before sunset, the area is sometimes full of visitors, but even then its charm outweighs the negative effects of the crowds. It’s during this time that locals try to make some money out of the tourists. 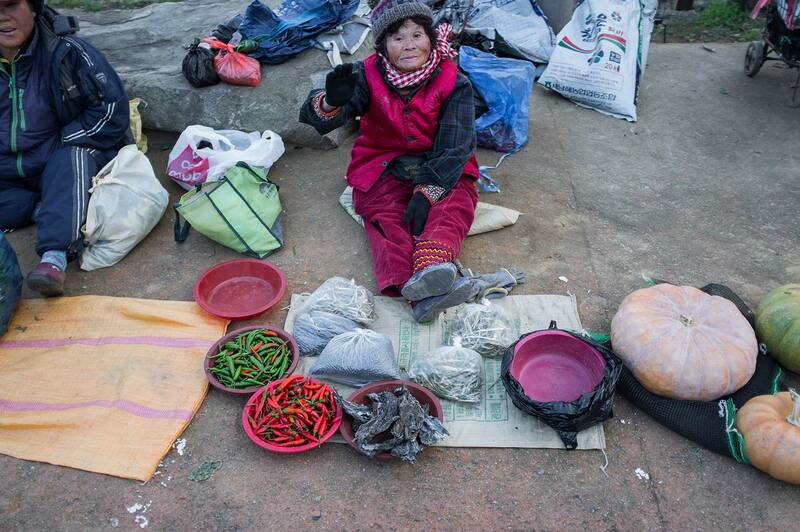 Next to the bus stop grannies sit on the frozen ground selling dried herbs and other vegetables. The village is very small with a population of around 150 people, who are primarily farmers. Every family has their own place and a few even have guest houses attached to their homes. Finding a place to sleep here wasn’t an issue, the issue was having to bargain to try and get a lower price, as the prices here are three times higher than in Seoul. Local houses. Not all houses in the village like this though. 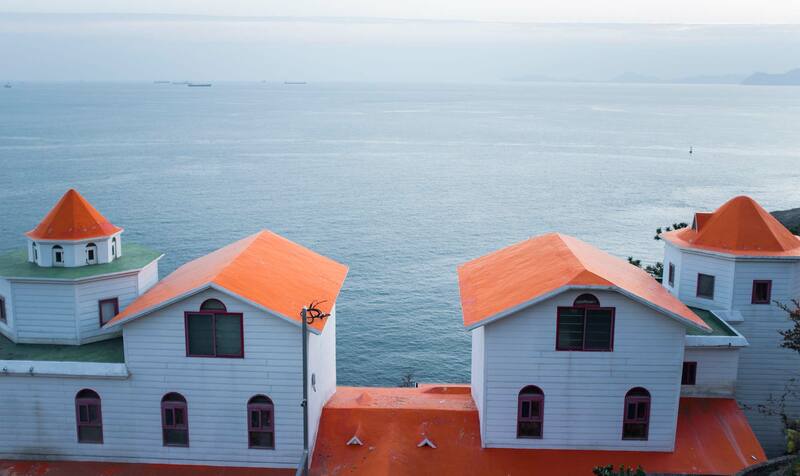 I rented a room for one night and walked down to the ocean, passing the quaint, little houses. The village is tremendously quiet and unbelievably peaceful in the evening. The walk from the ocean back to the road above the village is quite steep and rather tiring. 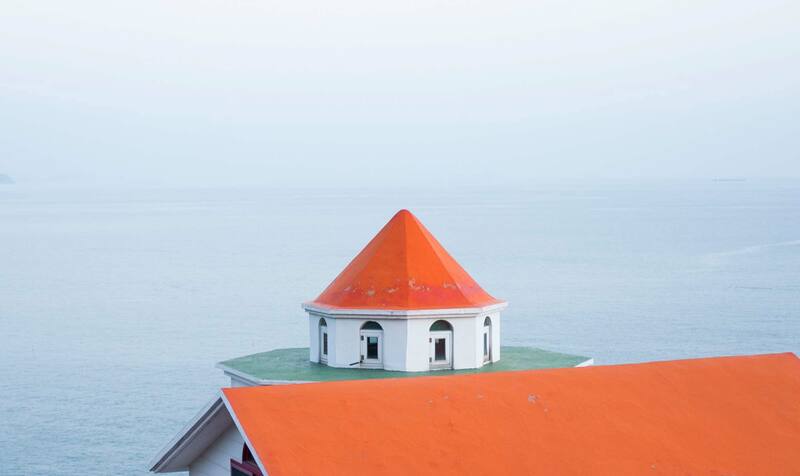 Being located in the south, Darangee is warmer than Seoul. 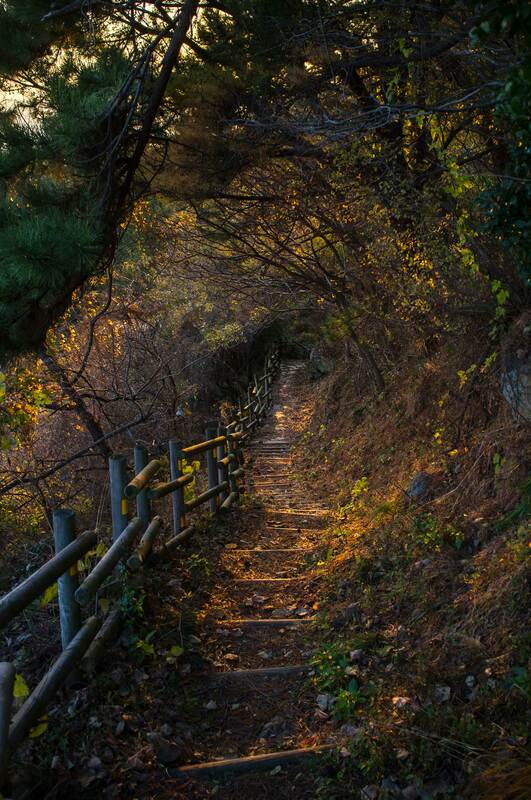 People come here to hike and to gaze (as Koreans like to do) at the sunrise (or sunset), how romantic. I woke up in the morning and hiked up the road, I had no idea where it would lead. 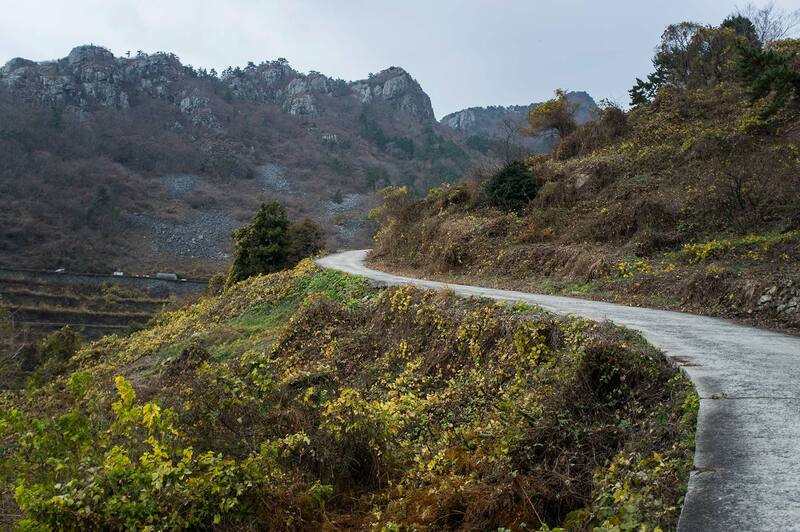 The road to the mountain. What I saw at the top of the mountain struck me deeply. 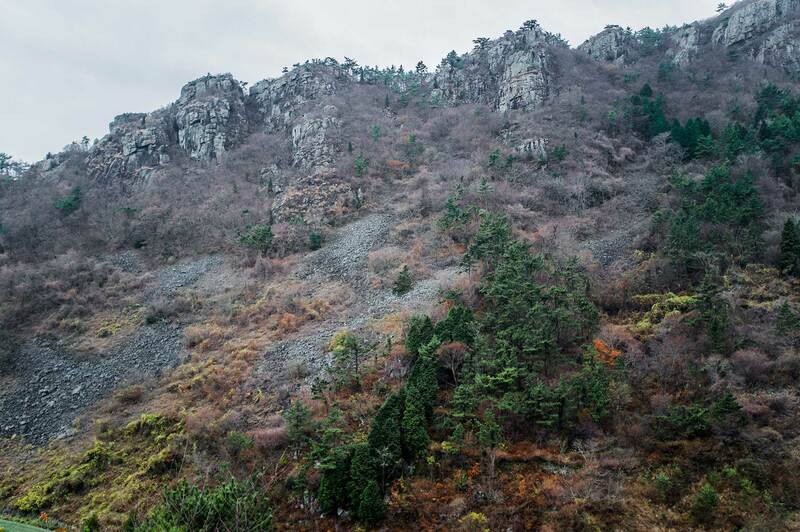 As a very mountainous country, Korean culture has historically worshiped mountain spirits. These spirits have many functions and one of their most significant is to protect the dead. Many important leaders were strategically buried in the mountains in order to be guarded by these mountain spirits. 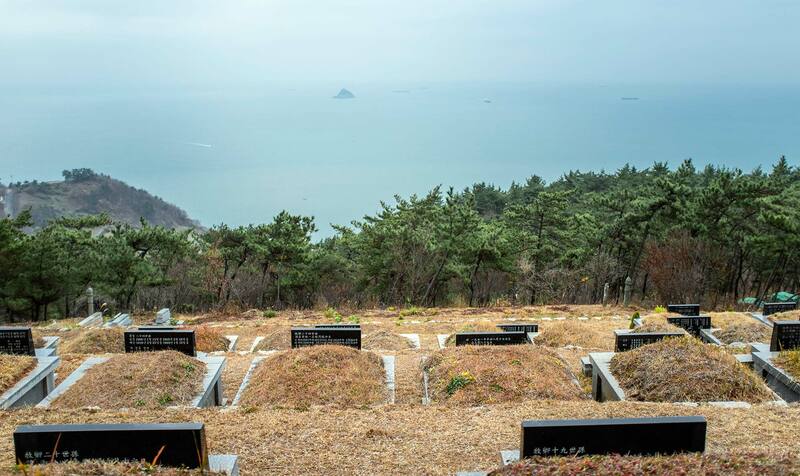 Graveyard on top of the mountain with the best view over the sea. 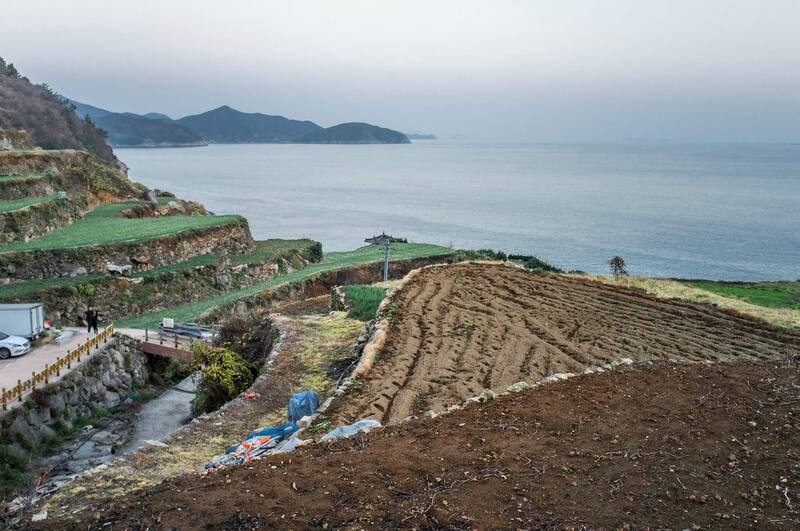 Today Koreans are buried in the hills, or even just in the ground, less and less. Due to limited space, cremation is becoming more common and decorated columbariums, where urns with cremated remains are stored, more commonplace. Relatives of the deceased can then visit them on a daily basis. There wasn’t much to do here, other than admire the scenery and go walking, so I moved on. View on a rocky hill on the way back.